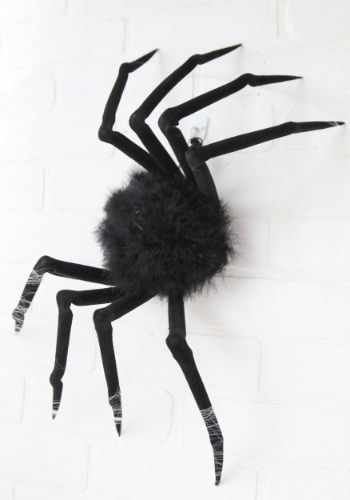 There is possibly no creature that elicits such a primal reaction of fear than the lowly spider. 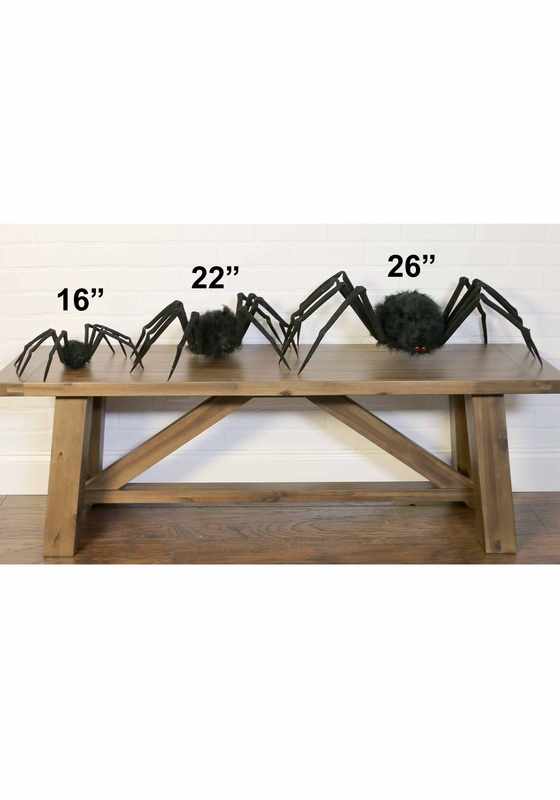 There’s something about those protruding fangs, those eight gangly legs, those bazillion staring eyes… From the red-backed black widow to the gigantic tarantula, spiders are the stuff of nightmares. There are a lot of myths about spiders, like that one rumor that you eat so many spiders every night when they crawl into your mouth. That’s not true, but it is true that some species of spiders create communal webs that can house up to 50,000 individual arachnids. Imagine walking into that by accident! And it’s also true that some spiders, like the Goliath Bird-Eating Tarantula, can grow up to one foot in body length and sport fangs one inch long. And did we mention that there are 45,700 species of spider in the world? 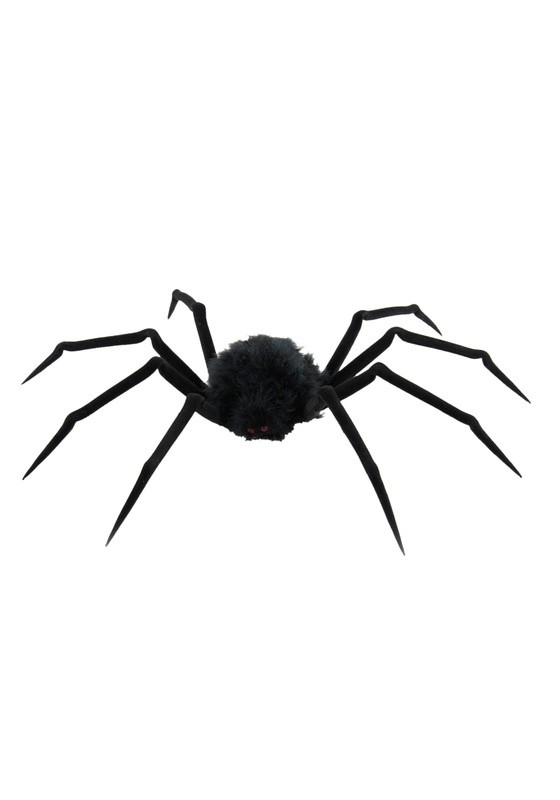 Now that we’ve thoroughly creeped you out, let us help you creep your friends out with this 22-inch Medium Furry Spider accessory. The black spider prop is covered in feathers and comes with an attached string for hanging, so you can hide this little guy pretty much anywhere! His legs are also super pose-able for extra character. 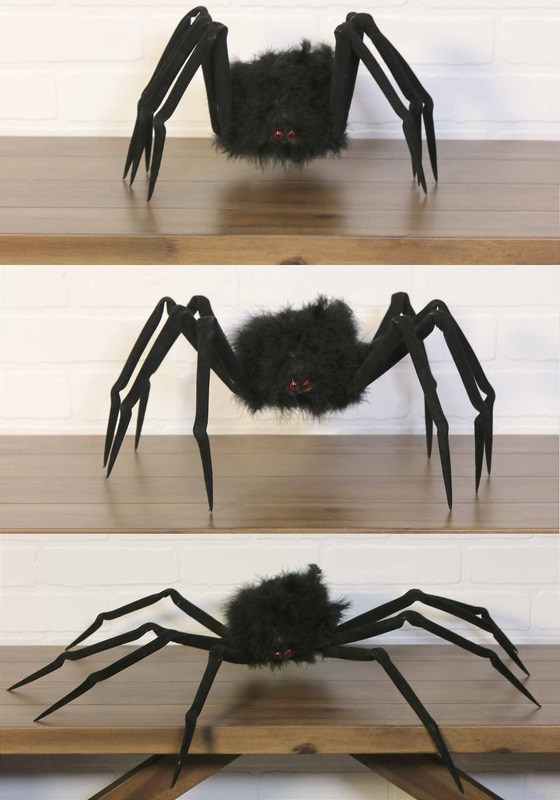 Whether you want him lurking over your roommate’s laptop or hiding in your mom’s fridge, he’ll definitely cause some scares when he’s discovered!